Please type your desired tags, e.g. Inorganic, Cell Biology, Psychological Sciences, Latin America, Animation & Games, Bio-Organic, Materials Science and Engineering, Grant Writing, Curriculum Development, Accounting, Organizations, Strategy and International Management, Gerontology, Marriage, Social Studies Education, Childhood Sexual Abuse, and etc. Developed/designed course content & taught 24 marketing courses in the MBA program. Developed the Graduate Marketing Certificate Program. Courses taught: Principles of Marketing, Pricing Management, Product Management, Promotions & Advertising, Consumer Behavior, Marketing Strategy, etc. "Outstanding Adjunct Faculty Teaching Award" S.O.M. — 2003. Developed Global Online Advertising Management course for GLOBAL MBA Program. Developed Global Online Consumer Behavior course for GLOBAL MBA Program. Developed & taught "Business Strategy" & "MarkStrat Simulation" for Executive MBA Program. Highest teacher rating in marketing dept for 17 out of the 24 courses taught at UTD. Attracted & taught 8 out of the 10 highest enrollment in marketing courses taught at UTD. Developed & taught strategy & marketing courses to business executives at SMU. Lead faculty for 2 yrs in 3rd Trimester of SMU Graduate Marketing Certificate Program: 'PHARMASIM' Marketing Simulation module for managers. Mentor/advisor for 12 execs of firms throughout the DFW area including JC Penney, AMR, Xerox, etc. Independent(or directed studies) consultancy projects conducted for Johnson & Johnson, Xerox, Health Industries Distributors Association, Sign Tech, etc. Taught undergraduate and graduate courses (MBA) - full—time load. Courses taught include: Principles of Marketing, Pricing, Advertising & Promotion, Market Research, Sales management, International Marketing, Product management, etc. Taught executive courses (Graduate Marketing Certificate Program) to business executives & managers. Conducted 'MARKSTRAT' Simulation strategy module for the Graduate Marketing Certificate Program. Assisted in administration of & taught in the Marketing Certificate Program at S.M.U. from 1991-1998. Obtained third highest instructor rating among all courses in the area - 1992. Taught over 210 courses to students preparing for graduate admission through the GMAT & the LSAT. Nationally Certified "MASTER TRAINER" for the GMAT & the LSAT. Developed & taught courses at client sites, such as Boston Consulting Group, Bain & Associates, etc. Trained & certified 24 GMAT teachers & 16 LSAT teachers nationwide for the Princeton review over a 12 year period. Obtained highest score improvements nationwide in LSAT and GMAT - 1995. Best instructor for 3 consecutive years - 1996-1999. Obtained highest GMAT score improvements among all teachers in the Southwest region for 7 different years. Obtained highest LSAT score improvements among all teachers in the Southwest region for 4 different years. Taught 9 undergraduate marketing courses at the Krannert School of Management. Conducted teaching clinics for incoming teaching assistants university-wide. Developed and taught 2 Graduate (MBA) level courses . Obtained highest rating school-wide among graduate instructors - 1988. Awarded "The Honeywell Outstanding Instructor Award" - 1989. Teaching Award ‘Best GMAT Instructor’ awards at TPR for 3 years, 1992-95. Teaching Award "The Honeywell Outstanding Instructor Award", Purdue University - 1989. First Place "National Competition for Young Managers"(Eastern Region) - 1985. Award "The ONGC FACULTY GOLD MEDAL" for "the Best All-Round Student"
Class of 1983, Indian Institute of Management. Award "The INSTITUTE GOLD MEDAL" for "The Most Outstanding Contribution to the Institute", Indian Institute of Technology - 1976-1980. Scholarship National Science Talent Award, India - 1975. There were plenty of winners and losers in this Super Bowl, on the field and over the air. 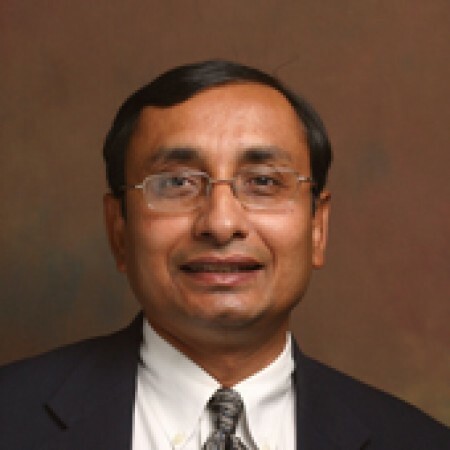 But the big winner for University of Texas at Dallas marketing professor Abhi Biswas is the Chrysler commercial featuring Clint Eastwood. "I think that will be the big winner, in terms of creating the long term buzz and conversation and all the social (media) Twitter hype, I think that's going to be garnered by that particular spot," Biswas said. At first glance, it falls short of being the biggest stadium naming rights deal in America. But some sports business experts say Jerry Jones and his Dallas Cowboys, with the help of AT&T Inc.’s wireless technology, are pioneering a new source of revenue for big-time sports. “The next big thing is the second-screen viewing experience,” said University of Texas at Dallas marketing expert Abhijit Biswas as he considered the potential future for fans inside what is now AT&T Stadium. In announcing the deal Thursday to rename Cowboys Stadium after the corporation, the Cowboys and Dallas-based AT&T said they “will work together to deliver an interactive game day experience for fans like no other.” ESPN reported the deal would be worth $17 million to $19 million a year over an undefined period. Ad and marketing professor Ahbi Biswas from UT Dallas takes a look at the Super Bowl ads and the companies that are hoping to get more bang from their buck. View video here.